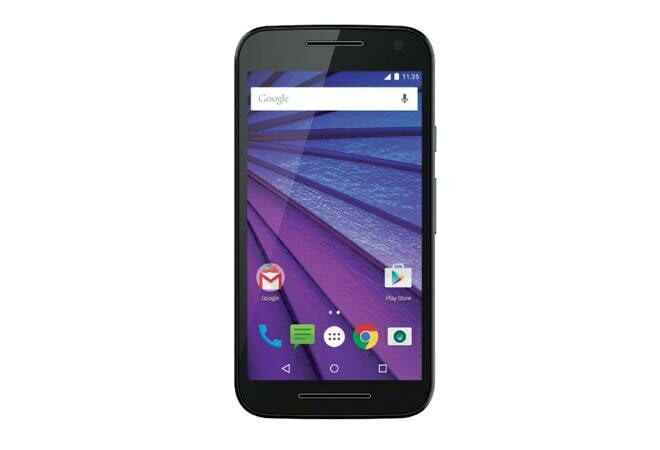 Focused on enhancing the user experience, Motorola has upgraded its new Moto G with some necessary features. It has continued with the same five-inch HD display, with Gorilla Glass 3 protection, offering decent viewing angles. The textured back provides a good grip. The rear panel is removable, housing two micro SIM slots and a microSD card slot. Both the SIM slots are 4G LTE enabled. However, the battery has been sealed and is non-removable. One noteworthy feature the new Moto G has is the IPX7 certification, which makes it water resistant. With every brand having a custom user interface, Motorola has continued with the stock Android OS, giving the new Moto G a snappy feel. Yet, the company has added few features that come in handy. The Moto Display shows the notification and time as soon as you pick up the phone, eliminating the need to turn on the display first. This feature was first found on the Moto X and is now a part of Moto G as well. Quick Capture activates the camera with a flick of the wrist and Chop Twice activates the torch light by making a chopping gesture. Moto Migrate prompts you to migrate your data from the old device to the new one. Motorola has also enhanced the imaging experience by adding a 13 MP rear camera and a 5 MP front facing camera. As per the company claims, the rear has got the same sensor used in Nexus 6. It did a good job at capturing images in well lit surroundings, but it isn't the best snapper in low light. The front-facing camera was decent for capturing selfies. The smartphone also captures full HD videos. Overall, the new Moto G manages to handle basic tasks, such as web browsing, downloading apps, watching videos on YouTube and playing games without any lag. The device did slightly heat up after a long gaming session. The phone is powered by 1.4 GHz quad-core Snapdragon 410 chipset and is paired with 2 GB RAM. The phone comes with 16 GB onboard storage and supports expandable memory. The 2470 mAh battery lasted me a day with average usage.